Tanja A. Börzel holds the Chair for European Integration at the Freie Universität Berlin. She received her PhD from the European University Institute in Florence, Italy in 1999. 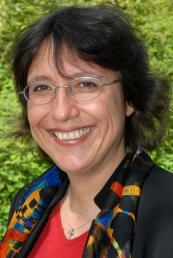 From 1999 to 2004, she conducted her research and taught at the Max Planck Institute for Research on Collective Goods in Bonn, the Humboldt-Universität zu Berlin and the University Heidelberg. Her research focus and teaching experience lie in the field of institutional theory and governance, European integration, and comparative politics with a focus on Western and Southern Europe. She mainly concentrates on questions of institutional change as a result of Europeanization as well as on the diffusion of European ideas and policies within and outside of the EU. The latter is part of her current research, which deals with compliance with EU norms and rules in member states, accession countries and neighboring countries. (In prep) ‘Environmental Governance in South East Europe and the Western Balkans: Reassessing the Transformative Power of Europe’, Environment and Planning: Government and Policy, Special Issue (accepted). Co-edited with Adam Fagan. (In prep) Obstinate or Inefficient? Why States Do Not Comply with European Law, Cornell University Press (under review). Co-authored with Carina Sprungk. (2015) ‘Building Member States: How the EU Promotes Political Change in its New Members, Accession Candidates, and Eastern Neighbors’, Geopolitics, History, and International Relations 8(1): 76-112. (2015) ‘Why Being Democratic Is Just Not Enough: The EU's Governance Transfer’, co-authored with Vera van Hüllen. In Governance Transfer by Regional Organizations. Patching Together a Global Script, co-edited with Vera van Hüllen. Houndmills: Palgrave, 227-244. (2015) ‘Same Same or Different? Accession Europeanization in Central Eastern Europe and Turkey Compared’, co-authored with Digdem Soyaltin and Gözde Yilmaz. In Europeanization of Turkey: Polity, Politics and Policies - A Scorecard, edited by Ali Tekin and Aylin Güney. London: Routledge. (2014) ‘One Voice, One Message, but Conflicting Goals. Cohesiveness and Consistency in the European Neighbourhood Policy’, co-authored with Vera van Hüllen. Journal of European Public Policy 21 (7), 1033-1049. (2014) ‘State-Building and the European Union’s Fight Against Corruption in the Southern Causcasus: Why Legitimacy Matters’, co-authored with Vera van Hüllen. Governance 27 (4), 613-634. (2013) ‘Explaining Policy Change in the EU’s Eastern Neighbourhood’, Europe-Asia Studies, Special Section (online publication 17 April 2013). Co-edited with Julia Langbein. (2013) ‘Migration, Energy and Good Governance in the Southern Caucasus’, Europe-Asia Studies 65 (4): 581-608. Co-authored with Esther Ademmer. (2012) ‘From Europeanization to Diffusion’, West European Politics, Special Issue, 35 (1). Co-edited with Thomas Risse. (2012) ‘Experimentalist Governance in the EU - The Emperor’s New Clothers?’, Regulation and Governance 6 (3): 378-384. (2012) ‘Caving in or Sitting it Out? Longitudinal Patterns of Non-Compliance in the European Union’, Journal of European Public Policy 19 (4): 454-471.